It is always God's will to heal. Our faith may fail. My faith failed to the extent that unless someone else had gone under my life and prayed for me, I would have died. But God was just as willing to heal me as He could be. It was my faith that broke down. God is willing, just as willing to heal as He is to save. HEALING IS A PART OF SALVATION. It is not separate from salvation. Healing was purchased by the blood of Jesus. 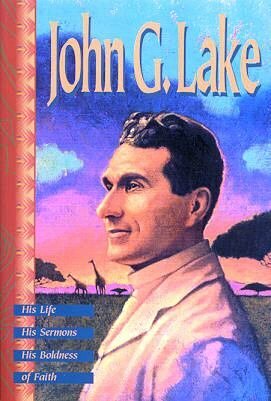 This Book always connects salvation and healing. Who healeth all thy diseases” (Psalm 103:2,3). There never has been a man in the world who was converted, and was sick at the same time, who might not have been healed if he had believed God for it. But he was not instructed in faith to believe God for healing. Suppose two men came to the altar. One is sick and lame; the other is a sinner. Suppose they knelt at the altar together. The sinner says, “I want to find the Lord.” Everyone in the house will immediately lend the love of their heart and the faith of their soul to help him touch God. But the lame fellow says, “I have a lame 'Leg” or 11my spine is injured. I want healing.” Instead of everybody lending their love and faith in the same way to that man, everybody puts up a question mark. That comes because of the fact we are instructed on the Word of God concerning the salvation of the soul, but our education concerning sickness and His desire and willingness to heal had been neglected. We have gone to the eighth or the tenth grade or the university on the subject of salvation, but on the subject of healing we are in the A,B,C class. “Jesus put forth His hand, and touched him, saying, I will: be thou clean.” Did He ever say anything in the world but “I will”, or did He ever say, “I cannot heal you because it is not the will of God”, or “I cannot heal you because you are being purified by this sickness”, or “I cannot heal you because you are glorifying God in this sickness?” There is no such instance in the Book. On the other hand we are told “He healed ALL that came to Him.” Never a soul ever applied to God for salvation or healing that Jesus did not save and heal! Did you ever think what calamity it might have been if a man had come to Jesus once and said, “Lord, save me”, and the Lord had said, “No, I cannot save you”. Every man forevermore would have a question mark as to whether or not God would save him. There would not be a universal confidence as there is today. Jesus Christ did not leave us in doubt about God's will, but when the Church lost her faith in God, she began to teach the people that maybe it was not God's will to heal them. So the Church introduced the Phrase, “If it be Thy will” concerning healing. But Jesus “healed all that came to Him” (Matt. 4:23; Luke 9:6; Luke 9:11). Notice what it says in Isaiah 35, “He will come and SAVE you. THEN THE EYES OF THE BLIND SHALL BE OPENED, AND THE EARS OF THE DEAF SHALL BE UNSTOPPED. Then shall the LAME MAN LEAP AS AN HART, and the TONGUE OF THE DUMB SHALL SING.” Salvation and healing connected! “That it might be fulfilled which was spoken by Isaiah the prophet, saying, Himself took our infirmities and BARE OUR SICKNESSES.” And lest we might be unmindful of that great fact that he “bare our sicknesses and carried our sorrows”, Peter emphasises it by saying, “Who his own self bare our sins in His own body on the tree, that we being dead to sins, should live unto righteousness: by whose stripes ye were healed” (1 Peter 2:24). Not “by whose stripes ye are healed”, but “by whose stripes ye were healed”. The only thing! that is necessary is to BELIEVE, GOD. God's mind never needs to act for a man's SALVATION. He gave the Lord and Saviour Jesus Christ to die for you. God cannot go any farther in expressing His will in His desire to save man. The only thing that is necessary is to believe God. There is salvation by blood. There is salvation by power that actually comes of God into a man's life. The blood provided the power. Without the blood there would have been no power. Without the sacrifice there would have never been any glory. Salvation by blood, salvation by power. The Church in general is very clear in her faith on the subject of salvation through the sacrifice of the Lord and Saviour Jesus Christ. The Christian world in general, regardless of their personal state of salvation, has a general faith and belief of the Lord and Saviour Jesus Christ for the salvation of the world. But they are ever in doubt and very inexperienced on the power of God. Did you ever stop to think that they have no medical remedy for the real things that kill folks? Typhoid fever: Fill the patient with a tankful of medicine and he will go right on for twenty-one days. In 1913, I was in Chicago in a big meeting when I received a telegram from the hospital in Detroit, saying, “Your son, Otto, is sick with typhoid fever. If you want to see him, come.” I rushed for a train, and when I arrived I found him in a ward. I told the man in charge I would like a private room for him so I could get a chance to pray for him. Well, God smote that thing in five minutes. I stayed with him for a couple of days until he was up and walking around. He went along for four or five weeks, and one day, to my surprise, I got another telegram telling me he had a relapse of typhoid. So I went back again. This time there was no sunburst of God like the first time. Everything was as cold as steel, and my, I was so conscious of the power of the devil. I could not pray audibly, but I sat down by his bed and shut my teeth, and I said in my soul, “Now, Mr. Devil, go to it. You kill him if you can.” And I sat there five days and nights. He did not get healing the second time instantly. It was healing by process because of the fact my soul took hold on God. I sat with my teeth shut, and I never left his bedside until it was done. You may be healed like a sunburst of God today, and tomorrow. The next week or the next month when you want healing you may have to take it on the slow process. The action of God is not always the same because the conditions are not always the same. In the life of Jesus people were instantly healed. I believe Jesus has such a supreme measure of the Spirit that when He put His hands on a man he was filled and submerged in the Holy Ghost, and the diseases withered-out and vanished. But, beloved, you and I use the measure of the Spirit that we possess. (You can, as a member of His body, possess the Spirit in the same measure as He. God does not expect us to fulfil John 14:12 with less equipment than Jesus had. 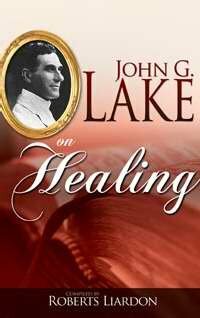 W. H. Reidt) And if we haven't got as much of God as Jesus had then you pray for a man today, and you get a certain measure of healing, but he is not entirely well. The only thing to do is to pray for him tomorrow, and let him get some more, and keep on until he is well. That is where people blunder. They will pray for a day or two, and then they quit. You pray and keep on day by day and minister to your sick until they are well. One of the things that has discredited healing is that evangelists will hold meetings, and hundreds of sick will come and be prayed for. In a great meeting like that you get a chance to pray once and do not see then; again. You pray for ten people, and as a a rule you will find that one or two or three are absolutely healed, but the others are only half healed, or quarter healed or have only a little touch of healing. It is just the same with salvation. You bring ten to the altar. One is saved and is clear in his soul. Another may come for a week, and another for a month before he is clear in his soul. The difference is not with God. The difference is inside the man. His consciousness has not opened up to God. Every law of the Spirit that applies to salvation applies to healing likewise. “And when Jesus was entered into Capernaum, there came unto Him a centurion, beseeching Him, and saying, Lord, my servant lieth at home sick of the palsy, grievously tormented. And Jesus saith unto him, I will come and heal him. The centurion answered and said, Lord, I am not worthy that thou shouldst come under my roof: but speak the word only, and my servant shall be healed” (Matthew 8:5-8). Here is healing at a distance. That centurion understood divine authority, and the same divine authority is vested in the Christian, for Jesus is the pattern Christian. The same divine authority that was vested in Jesus is vested BY JESUS in every Christian soul. Jesus made provision for the Church of Jesus Christ to go on forever and do the same as He did, and to keep on doing them forever. That is what is the matter with the Church. The Church has lost faith in that truth. The result, they went on believing He could save them from sin, but the other great range of Christian life was left to the doctors and the devil or anything else. And the Church will never be a real Church, in the real power of the living God again, until she comes back again to the original standard where Jesus was. Jesus said, “Behold, I give you authority.” What authority? “Over unclean spirits to cast them out, and to heal all manner of sickness and all manner of disease” (Matthew 10:1). Jesus has vested that authority in you. You say, “Well, Lord, we understand the authority that is in your Word, but we haven't the power.” But Jesus said, “Ye shall receive power, after that the Holy Ghost is come upon you” (Acts 1:8). Now the Holy Ghost is come upon every Christian in a measure. It is a question of degree. There are degrees of the measure of the Spirit of God in men's lives. The BAPTISM OF THE HOLY SPIRIT is a greater measure of the Spirit of God, but every man has a degree of the Holy Spirit in his life. You have. It is the Spirit in your life that gives you faith in God, that makes you a blessing to other people. It is the Holy Spirit that is out-breathed in your soul that touches another soul and moves them for God. Begin right where you are and let God take you along the Christian life as far as you like. Then you remember the case of the man at the Pool of Bethesda. He did not even ask to be healed. As he lay there Jesus walked up to him and said, “Wilt thou be made whole?” The poor fellow went on to say that when the water was troubled he had no one to put him in, but while waiting another stepped in ahead of him, But Jesus said unto him, “Arise, take up thy bed and walk,,” He was made whole. Afterward Jesus met him and said, “Behold thou art made whole: sin no more, lest a worse thing come unto thee.” (John 5:14). Most of sickness is the result of sin. That is the answer to the individual who sins. For thousands of years men have been sinning, and in consequence of their sin, they are diseased in their bodies. This will give you an idea. scientists tell us there are tubercular germs in 90% of the population. The only difference is that when people are in a healthy state, the germs do not get a chance to manifest themselves. I am trying to show the intimacy between sin and sickness. Not necessarily the sin of the individual. It may never be the sin of the individual. In the records of the Lake and Graham family away back, tuberculosis was never known to them, until it appeared in my sister. My sister accompanied me to Africa and she became so ill that when I got to Cape Town we had to wait until her strength returned. God healed her. Regarding people being healed at a distance, we receive telegrams from all over the world. Distance is no barrier to God. The United States has just finished the building of the greatest wireless station in the world. They send messages that register almost instantly, ten thousand miles away. Well, all right, when your HEART strikes God in faith, it will register there wherever that individual is just that quick. All the discoveries of later years such as telegraph, telephone wireless and that sort of thing are just the common laws that Christians have practiced all their lives. Nobody ever knelt down and prayed, but that the instant they touched God their soul registered in Jesus Christ in Glory, and the answer came back to the soul. Christians have that experience every day. 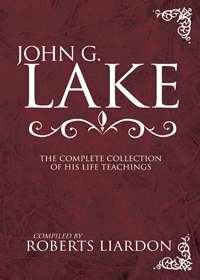 The wise world has begun to observe that these laws are applicable in the natural realm. I asked Marconi once how he got his first idea for the wireless, He replied he got it from watching an exhibition of telepathy in a cheap theatre. The prayer of the heart reaches God. Jesus replied to the leper, “I will: be thou clean,” The next was the centurion's servant. The centurion said “You do not need to come to my house. You SPEAK THE WORD ONLY and my servant shall be healed.” And in the soul of Jesus He said, “Be healed.” Distance is no barrier to God. Distance makes no difference. The Spirit of God will go as far as your love reaches. Love is the medium that conveys the Spirit of God to another soul anywhere on God's earth. This is what takes place when you pray, The Spirit of God comes upon you and bathes your soul, and a shaft of it reaches out and touches that soul over there, If you had an instrument that was fine enough to photograph spirit, you would discover this is done. Is it not a marvellous thing that God has chosen us to be co-labourers with Him, and He takes us into partnership to do all that He is doing? Jesus Christ at the Throne of God desires the blessing of you and me, and out of His holy heart the Spirit comes, and the soul is filled, and we cannot tell how or why.